The executives attributed the sales woes to a weakened consumer, suffering from payroll tax hikes that went into effect January 1. Today, however – three weeks into February – the company has a better perspective on this month’s sales figures. In today’s release, Wal-Mart says the slow February start was actually largely due to delayed tax refunds, which got mailed out late this year due to the fiscal cliff. 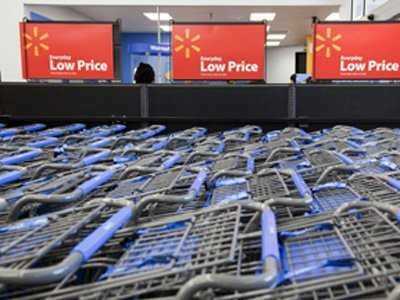 If Wal-Mart is right – and they have reason to believe they are – then worries about the strength of the consumer may be overblown. That’s not to say that rising gas prices and the payroll tax hike can’t or won’t have an effect. In fact, they could still represent serious headwinds. “We continue to monitor economic conditions that can impact our sales, such as rising fuel prices, changes in inflation and the payroll tax increase,” the company says in the release. However, up to this point, almost two months into 2013, Wal-Mart doesn’t attribute sales weakness to those factors. The “total disaster” appears to have been overstated.